Doctoral students must complete a minimum of 12 credits to meet the college-wide requirements for preparation in research methodology. The courses will be selected from the approved College of Education’s approved list of research courses. The Director of Graduate Studies has the authority to approve substitute and alternative courses. An application to request a substitution or alternative must be made by the student and the student’s chair. Additional information about alternative and substitute courses can be found at the end of this web page. Mathematics education as an area of specialization requires 12-24 hours of coursework (exclusive of seminars taken to satisfy Category 2) specifically related to mathematics education. Some of these credits may be gained by enrolling in independent study, supervised research or other similar titles under the supervision of a mathematics education faculty member. Students may choose to complete a 12-15 hour minor (e.g., mathematics, statistics, psychology, research methods) outside of the School of Teaching & Learning. If a formal minor is declared, a member of the Graduate Faculty from the minor department must serve on the supervisory committee and identify appropriate coursework. A maximum of 6 credit hours of 3000-4999 level coursework can count toward a minor. A minimum of 12 hours of EDG 6980: Dissertation Research should be completed when conducting dissertation research and writing the dissertation. A student’s supervisory committee may require additional dissertation research hours. Upon acceptance into the doctoral program, a student is assigned a temporary advisor for the purpose of familiarizing the student to the university, college, and school system providing course guidance until such time the student selects faculty for the doctoral committee. The Graduate School publishes a deadline for the formal selection of the doctoral committee. Currently, students are required to have a minimum of four faculty on the doctoral committee with one faculty member serving as chair or two professors serving as co-chairs. The must also be one faculty member serving as the external member from outside of the School of Teaching & Learning. Once coursework is completed, students are required to pass a rigorous and broadly developed, but focused qualifying examination to become a candidate for the doctoral degree. The standard qualifying examination has a written and oral component and is evaluated by all members of the doctoral committee. A substitute course is a course that covers the same methodologies as are covered in a listed course and covers the methodologies at the same level of difficulty as in the listed course. Courses that cover the material at a lower level of difficulty are not appropriate substitute courses. An alternative course is a course that covers different methodologies than are covered in any of the listed courses. Proposing an alternative course presumes the methodology covered in the alternative course is not covered in any of the listed courses. An example of an alternative quantitative methods course is STA 5507: Applied Nonparametric Methods. None of the listed quantitative methods courses cover nonparametric methods. An example of an alternative qualitative methods course is HIS 6060: Historical Method. None of the listed qualitative methods courses cover methods of historical research. To request a substitute or alternative course(s) submit a completed Substitute and/or Alternative Course Form to the Office of Graduate Studies in Norman 186. The Chair of the student’s Supervisory Committee, on behalf of the Supervisory Committee, shall transmit the request. Approval of the Request by the Director of Graduate Studies authorizes the substitute and/or alternative course(s). Requests for substitute or alternative courses should be submitted by the second semester of graduate study or as soon thereafter as possible. Prospective requests must include the most recent syllabus for the proposed course. Retrospective requests must include the syllabus for the semester in which the proposed course was taken. Requests for a substitute course must identify the course for which the substitution is requested and include an explanation about why a substitution is necessary. When a course substitution is requested, the Director of the Graduate Studies will solicit advice from the Director of the Program of Research and Evaluation Methodology about the equivalence of the listed and substituted course. In the event an alternative course, with content similar to that of a listed course, is proposed, the Director of the Graduate Studies will solicit advice from the Director of the Program for Research and Evaluation Methodology about the equivalence of the listed course. In the event of substantial similarity the Director of Graduate Studies will treat the alternative course as a substitute course. 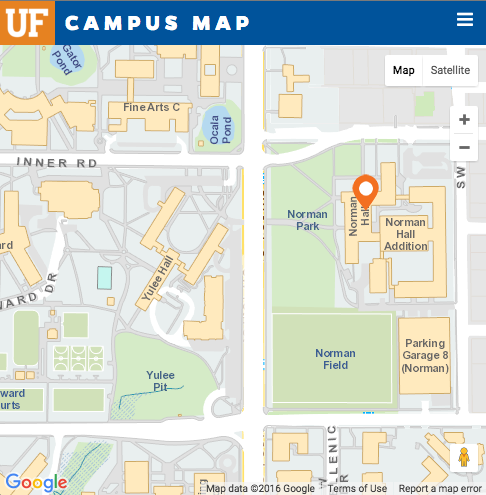 Proposed substitute or alternative courses taken before admission for doctoral study to the UF Graduate School must have been completed within four years of admission. 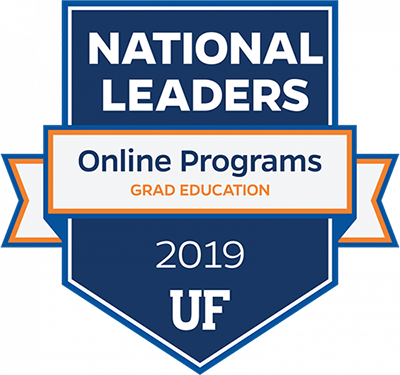 Proposed substitute or alternative courses taken after admission to the doctoral study to the UF Graduate School must be approved before enrolling in the requested course.